'I wrote Bond theme in 20 minutes' Jump to media player Sam Smith has recorded the song for the new James Bond film Spectre. Plea for 007 car to be made in Wales Jump to media player Prime Minister David Cameron issues a direct appeal to car makers Aston Martin to consider building their new luxury SUVs in Wales. Daniel Craig's 'licence to save' role Jump to media player Actor Daniel Craig has been given a 'licence to save' in his new role as the UN's first global advocate to eliminate landmines and explosive hazards. 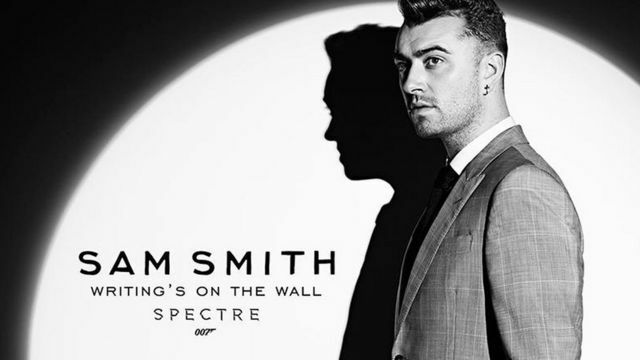 Sam Smith has recorded the song for the new James Bond film Spectre. The track is called Writing's on the Wall and will be released on 25 September. Sam told Lizo Mzimba it was hard keeping it a secret, and that the theme was written in 20 minutes.